Mugshot of terror suspect Mansorr Arbabsiar, 56, who is accused of plotting to kill the Saudi ambassador to the United States. A friend of a former Texas used car dealer accused of plotting to assassinate Saudi Arabia's ambassador in the United States says he never thought of his one-time business partner as politically motivated, much less a key player in a potential terrorist act. Manssor Arbabsiar was known as "Jack" to his friends because his name was too hard to pronounce, said David Tomscha, who briefly owned a used car lot with him in the Texas Gulf Coast city of Corpus Christi. Tomscha said his friend was likable, albeit a bit lazy. "He's no mastermind," Tomscha told The Associated Press on Tuesday. "I can't imagine him thinking up a plan like that. I mean, he didn't seem all that political. He was more of a businessman." Arbabsiar, 56, was being held without bail in New York for his role in the alleged plot to kill Saudi diplomat Adel Al-Jubeir in the United States. The Justice Department contends that Arbabsiar and another man working for the Iranian government tried to hire a purported member of a Mexican drug cartel to carry out the attack with a bomb while Al-Jubeir ate at a restaurant. Tomscha, 60, said their partnership in the 1990s ended after about six months when Arbabsiar stopped making his share of the payments for their lot, but they remained friends. Arbabsiar never talked about traveling to Mexico, Tomscha said. Arbabsiar came to the U.S. to attend what was then known as Texas A & I University in Kingsville, Tomscha said. Then Arbabsiar opened a used car lot with a couple of college friends and eventually owned several in the Corpus Christi area, and he seemed to get first choice on the repossessed cars at the auto auction in town, Tomscha said. "He was sort of a hustler," Tomscha said. "I think he made some money." Tomscha said he last saw Arbabsiar last fall, and in early 2011 heard that his friend had moved back to Iran. Tomscha was shocked to hear Tuesday about the arrest. After living for years in Corpus Christi, Arbabsiar followed his wife to the Austin area, Tomscha said. Nobody answered the door Tuesday at the two-story stucco and brick home in a well-manicured neighborhood in Round Rock, the Austin suburb that federal officials list as Arbabsiar's residence. One man was seen going inside in the afternoon, and later there was a delivery from Pizza Hut. A neighbor said he frequently saw Arbabsiar walking in the neighborhood after dark, while smoking cigarettes and talking on a cellphone in a foreign language. "My wife and I always thought there was something weird about the guy," said Eric Cano, a 38-year-old buyer for a grocery company who lives next door. "But you don't think it will get to this level." Halloween decorations hung from a tree in Arbabsiar's front yard. Within hours of Arbabsiar's arrest, the neighborhood was flooded with trucks from local television stations. Records show Arbabsiar also has lived in the Dallas-Fort Worth area and Corpus Christi, and been married at least twice. He was arrested and released in 2001 for theft by check, charges that were eventually dismissed, said Cynthia Martinez of the Nueces County Sheriff's Office, which includes Corpus Christi. She said Arbabsiar was also arrested in 1993, 1996 and 1997 on traffic violations. Cano said Arbabsiar moved in with a woman who had lived at the house previously and was raising three boys, all who have graduated from high school. 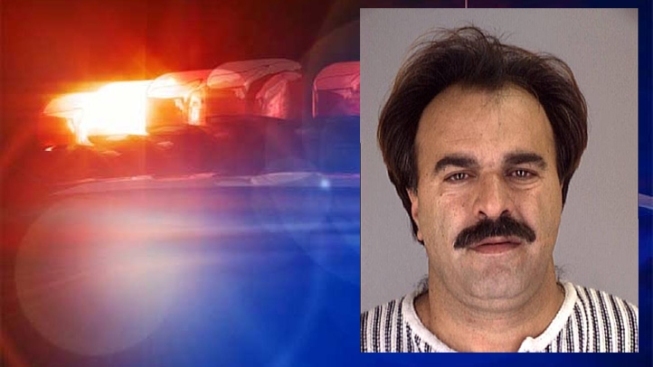 Records indicate the home is owned by a woman to whom Arbabsiar was married. Cano said although he would see Arbabsiar with some frequency, they'd never speak. "He wasn't friendly at all," Cano said. "He'd never even acknowledge you. He'd just walk and talk in this language I'd never heard of."